My family and I just got to spend a long Thanksgiving weekend with my husband’s family. It was amazing to have a few days off all together, and the kids LOVED spending time with Nana, Papa, and Uncle Joe. They went on hiking adventures, helped cook delicious food, read books, and snuggled. Super cute kids. And super thankful for our family. While we were there, I had some homemade cinnamon swirl bread, made by Ehren’s Great Aunt. She makes it all by hand, and it was so yummy. It inspired this recipe. I adapted Evan’s sandwich bread, and it turned out perfectly. I am thinking about making one loaf of this bread every week, and one plain loaf as well. That way we will have one for our morning toast, and one for sandwiches. Hope you have as much success with it as I did! PS, how on the earth did something that pretty come out of my kitchen? And without a bread machine? Trust me, if I can do this, you can too! PSS, my house smelled AMAZING while this was baking. Like, ah-mazing. 1. First, add yeast to the warm water (think lukewarm, not hot) while that’s dissolving, throw the flour, salt, cinnamon, and raisins in the mixer. Once the yeast has dissolved, dump in the melted butter and the honey into yeast and then pour all of it into the mixer. Let the mixer do it’s work with the bread hook attached, it takes about 3-5 minutes until the dough forms into a ball. So fast and so easy! NOTE: If kneading by hand (making without a mixer), try using only 4 cups of flour for best results. 2. After that, knead the ball of dough a couple of times and put it in a greased bowl, cover it with a dish towel and let it rise for an hour. 3. Knead again a couple of times, put it in a greased bread pan and let it rise again for at least 45 minutes. 4. Bake at 350 for 30 minutes and immediately remove from the pan and let cool on a cooling rack. NOTE: This recipe makes one loaf. 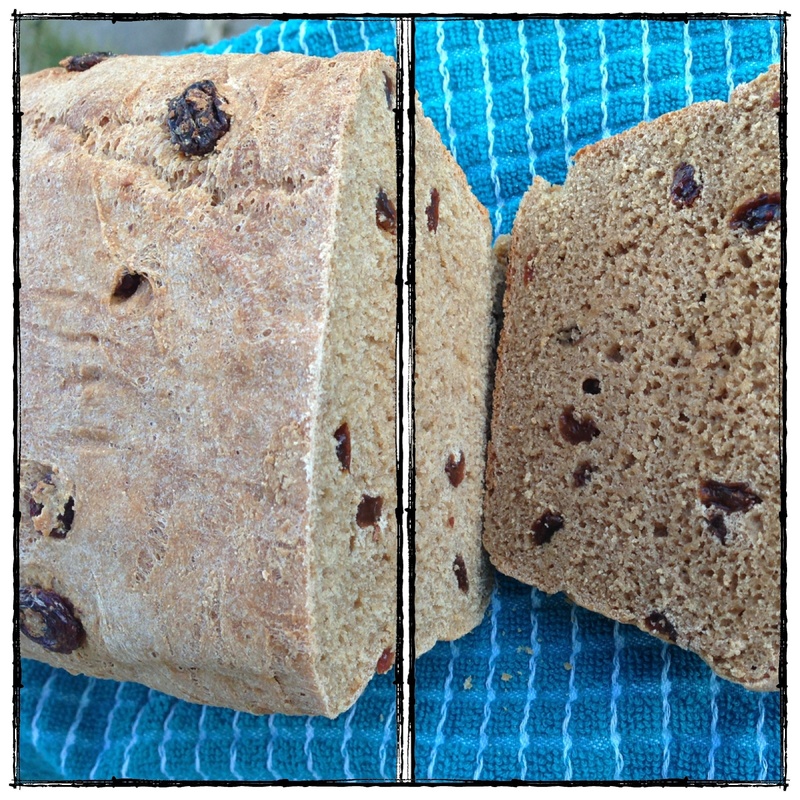 **Adapted from Honey Whole Wheat Sandwich Bread. store bought sandwich bread. I couldn’t believe how many ingredients are put in a single loaf of bread! 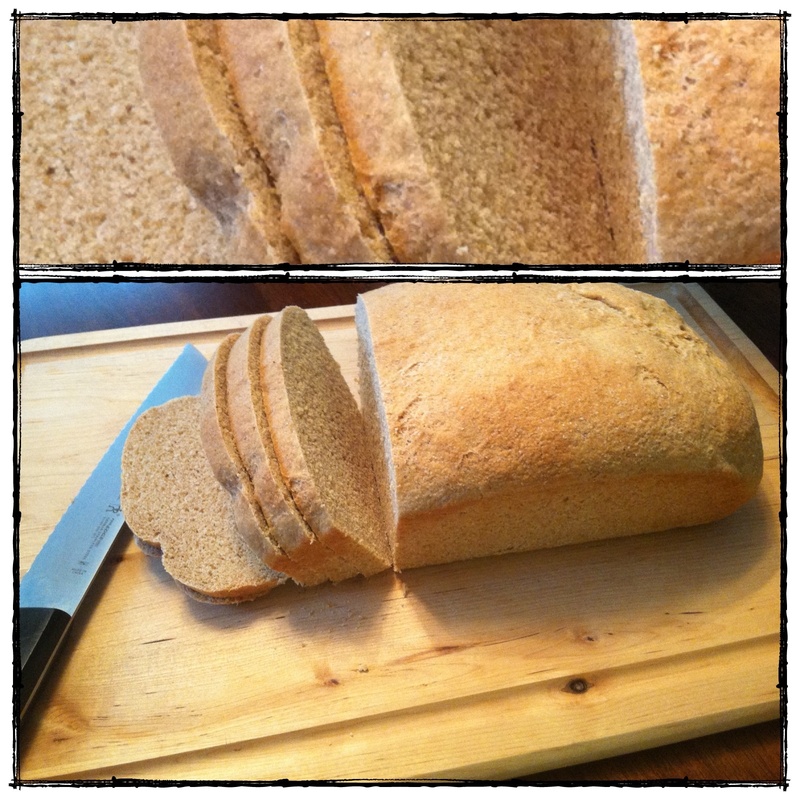 After months of trial and error bread baking (seriously 5 months… my family was so patient! ), I finally found the yummiest bread recipe that doesn’t require a bread machine. 1. First, I add my yeast to the warm water (think lukewarm, not hot) while that’s dissolving, I throw the flour and salt in my mixer. Once the yeast has dissolved, I dump in the melted butter and the honey into yeast and then pour all of it into my mixer. I let the mixer do it’s work with the bread hook attached, it takes about 3-5 minutes until the dough forms into a ball. So fast and so easy! NOTE: If kneading by hand (making without a mixer), try using only 4 cups of flour for best results. 2. After that, I knead the ball of dough a couple of times and put it in a greased bowl, cover it with a dish towel and let it rise for an hour. 3. After that, I knead again a couple of times, put it in a greased bread pan and let it rise again for at least 45 minutes. 4. Then I bake at 350 for 30 minutes and immediately remove from the pan and let cool on a cooling rack. Mmmmm…. fresh bread. And only 6 ingredients.